I expect to miss #BBAU 2014 after its season finale a lot more than I have missed #BB16. These two shows share the Big Brother name and the concept of putting 16 people together in a house for three months with weekly evictions until a winner is selected -- but that’s where the similarities end. Big Brother Australia and the American version of Big Brother on CBS are wholly different shows. Big Brother Australia logo. Catchy animation on TV, too.As you know, I’m the Newbie Desk writer here, and to date I have watched only three Big Brother seasons: #BB15 and #BB16 on CBS, and Big Brother Australia 2014 (via this YouTube playlist). #BBAU 2014’s season finale airs in Australia's prime time about 30 minutes from when I’m writing this (at about 4:00 AM Eastern). I’ve been promising to write this post since #BB16 ended -- no spoilers here if you’ve been watching #BBAU. The obvious up-front disclaimer is this: Reasonable people will disagree on matters of taste. That said, here’s my judgment: Big Brother Australia is by far the better show. I’m told that #BB1 (that is, the first season of the CBS show) used a format very similar to #BBAU’s but that CBS judged it needed to be tweaked (*cough* ruined) to be more palatable to American audiences. And then even the revised format devolved over the years into the formulaic #BB16 debacle about which my fellow contributors on this site wrote so much. #BBAU's auditorium is huge, colorful, and full of excited people. The host and housemates enter through the "eye" in back and walk the catwalk through the audience to the stage. CBS, pay attention. If you're going to bother with a live audience, do it the way #BBAU does.Even if you don’t agree that #BB16 was predictable and boring, perhaps you might think it worthwhile to learn about an alternate Big Brother format which viewers in other English-speaking countries seem to enjoy. So here’s a #BBAU primer. First, let’s talk about the rules of the game. Later, we’ll discuss the content of the show’s TV episodes. In Australia, the viewers cast eviction votes, not the house guests -- who are actually called “housemates” there. Actually, I’m not saying this correctly. Viewers vote to save housemates every week, so the housemate receiving the fewest viewer votes is the one evicted. During the season’s final week, viewers decide the winner. In this, #BBAU is fundamentally different (and, in my view, better) than the American version. Viewer participation directly affects game outcome each and every week. Contrast that with CBS’s #BB16: Viewers voted on silly “Team America” tasks which gave certain house guests unfair prize money advantages; viewer participation had no meaningful direct relevance to game outcome, and many of us perceived it only as a total waste of time. Example of a nomination. Here, Sam, as Head of House, has used points to reveal a few house mates' locations on the nomination board.Back in #BBAU, housemates nominate their peers for potential eviction. In private Diary Room sessions, Big Brother gives each housemate five points to split among two nominees, asking “Who do you nominate, for how many points, and why?” The week’s Head of House is the last one called to the DR during nominations. Big Brother gives him or her 10 or 12 points; the HOH may spend points to reveal the positions of housemates on the Nominations Table and may split remaining points to nominate as many housemates as s/he’d like. All housemates who received at least 5 points are nominated for potential eviction (while those who received 4 or fewer points are safe). Big Brother informs the housemates of who the nominees are and how many points they received (but who nominated whom remains secret). Then, voting is opened. Over the next few days, viewers cast votes via text message and Facebook to save their favorite housemates; during the next one or two live shows, with her characteristic flair and with the backing of an engaged, vocal audience, host Sonia Kruger delivers her signature lines to housemates, telling them who is safe (“The nominee who received the most votes to save them is [dramatic pause] ... Skye!”) and, later, who is evicted (“It’s time to go ... [dramatic pause] ... It’s time to go, Leo!”). Sonia Kruger, #BBAU's host, is natural and charming. She knows it's entertainment and does it well. Julie Chen should take some pointers from Sonia.By forbidding talk about nominations and by giving viewers all the power as to who stays in the house, the content of all housemate conversations is wholly different in #BBAU than in the CBS show. I find watching their interactions to be much more enjoyable. Because they have been freed from directly discussing the game, housemates often talk with each other as they would in the real world. Friendships and romances emerge; differences, conflicts, and controversies emerge as well. Over the course of the season, we are afforded the opportunity to get to know each housemate as an individual person; viewers grow more attached to their favorites and are thus, at least in theory, incentivized to keep watching and to keep participating. Big Brother gives housemates a special “task” each week to test their skills, memory, teamwork, and/or endurance. These tasks vary greatly. Just a few examples: They had to run a live radio station; they were split into hotel servants and guests; they had to physically obey commands of a giant VCR remote control (pause = freeze in place; rewind = walk & talk backwards; slow-mo, fast-forward, etc.). These tasks provide interest and humor for viewers and conversation fodder for the housemates. If they pass the task, Big Brother gives them a higher budget for food; if they fail, supplies of luxury food items (and sometimes staples) are constrained. Although these weekly tasks have little relevance on game outcome, they are far more effective than the CBS version’s “haves & have-nots” at providing entertaining content for each week’s TV episodes. Sonia shows viewers the point spread between their "votes to save. "This brings me to the episodes themselves. I find #BBAU’s episodes to be far less formulaic than the CBS show’s episodes. Although live episodes do have a predictable structure (recap, save some people, evict some people, interview the evictees), I have generally found something surprising and entertaining in each of this season’s 50+ episodes. Each episode unfolds organically based on the events of the day or days covered; the people are real and unscripted; moments of pure joy happen regularly. I could not say the same about #BB15 or #BB16 on CBS. Episodes focus on competitions (most of which are predictable retreads of those used in previous seasons), ceremonies (nomination, power of veto, eviction, even HOH room reveals), and interpersonal conflict caused by artificial game-based situations. Diary Room sessions are highly scripted; there, house guests serve more as program hosts than players; rare is the genuine personal moment. The #BBAU house is at the very top; the auditorium is in the middle left; the rest of the Dreamworld theme park is at the bottom.#BBAU’s live shows are a visual feast! Hosted by the effervescent Sonia Kruger, most live episodes begin with a unique, custom-produced open before the up-tempo theme music rolls while Sonia strolls down a catwalk to the cheers of hundreds in the audience. The broadcast originates from the Big Brother auditorium at Dreamworld, Australia’s largest theme park. Dazzling computer-generated graphics surround the audience. Sonia and the housemates enter through an elevated Big Brother “eye” and walk through the cheering fans to the center of another “eye” embedded in the floor of a huge stage backed by a giant screen used for video playback, graphics, and live views of the Big Brother house. Live shows air twice weekly; there are two to four additional non-live shows each week which summarize what happened in the house since the last episode. It is through these “daily shows” that viewers get to know the housemates so well. Since Australia is 16 or more hours ahead of every U.S. time zone, I could count on every new #BBAU episode being ready for me to watch on-line as soon as I got home from work. It became my daily habit to watch it while making dinner. #BBAU does not offer live Internet feeds, so the four to six weekly episodes became the equivalent. Big Brother (and by this I mean the “person,” the all-seeing disembodied voice who controls housemates’ lives) is highly interactive, too. He talks with the housemates, not just at them. He is quick with humor and sarcasm. In the Diary Room, he asks probing questions and responds directly to what the housemates say to him. Big Brother talks to housemates in groups or individually wherever they may be, not merely in the Diary Room. He’s cheeky and highly entertaining. This interactivity is a huge part of what makes #BBAU so fun to watch (and so different, in a very positive way, from the CBS version). Producers do clearly steer the show in Australia. I get the impression that CBS wants us to think they’re hands-off, but what happens instead is that we see them interfering at exactly the wrong times and for the wrong reasons. #BBAU episodes usually strike me as fresh; significant changes to the game, such as the introduction of “intruders” (new mid-season housemates), are obviously producer-controlled but I felt like such things happened at the right times. By the way, unlike the CBS house, the #BBAU house itself is not physically connected to the auditorium; it’s about a quarter mile away down a wooded road through the back area of the Dreamworld property. I’m not a good judge of square footage, but I think it’s bigger than the American house —- perhaps significantly so. There’s a large swimming pool (perhaps three or four times the size of the CBS house’s pool) and hot tub in a large astroturf-covered front courtyard, and it’s flanked by a private “treehouse,” gym, laundry room, and outdoor grill. The kitchen and large dining room are in their own annex. Inside the house, there’s a “lounge” (living room), two bedrooms, a huge bathroom with a 4-person communal shower and several sinks, an adjacent “parlour” (a luxury spa with two soaking tubs and numerous makeover tables), the “Power Room” into which Big Brother invites housemates for special rewards and projects, an adjacent task room which producers repurpose several times throughout the season, and, of course, the Diary Room (which for 2014 has been moved to a newly-built second level, the first time #BBAU's house has had two stories). Connected to the main house via a corridor off of the outdoor courtyard is the Sanctuary, a luxury apartment with its own pool, living/bedroom, and bathroom with soaking tub; Big Brother rewards the Head of House and his/her choice of guest, or some times other housemates, with overnight stays in the private Sanctuary. Just because I find so much to like about Big Brother Australia does not mean I won’t tune in for #BB17 on CBS next year. But I think CBS could borrow some ideas from #BBAU to improve its own product without making it unrecognizable. How? That’s what I’ll write about next time. Have you been watching Big Brother Australia 2014? What do you think of it? 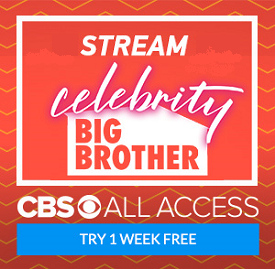 In what ways do you think it's better (or worse) than Big Brother on CBS here in the States? Comment below or @uselesstraffic.